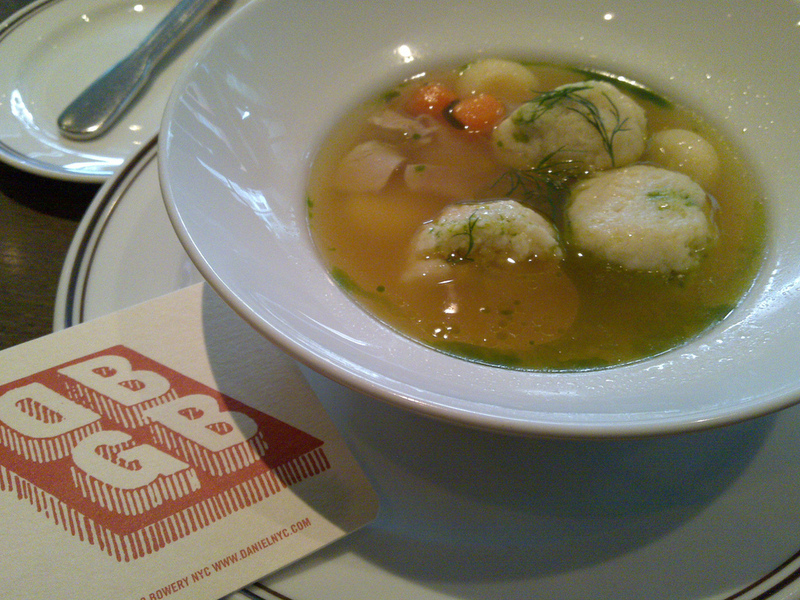 Passover matzah ball soup. There are ways to make this holiday greener. Image via DavidMarcel. Use up your chametz (leavened food) before Passover instead of throwing it out. If you have extra, sell it or give it to a non-Jew. You can even sell chametz online. Many charitable organizations collect unopened packages for distribution to the poor after the holiday. Make a detailed menu and shopping list, then buy only what you need. Keep your list from year to year, noting how much you actually used. If your family eats matzah at every meal, a kilogram (two pounds) per person is a fair estimate. Avoid buying Kosher for Passover specialty items like cake mixes. They often aren’t as tasty as the year-round variety, and tend to get thrown out later. Making simple food from scratch is better for the environment and healthier too. Plan an easy menu. The more items you make, the more likely leftovers will get thrown out. You’ll save on cooking gas, water and electricity too. Turn your refrigerator to the coldest setting in advance of cooking. Put cooked foods away while they are still hot, to protect them from spoiling. Don’t forget to switch the refrigerator setting back once the food has chilled. Stagger cooking so that your refrigerator can cool food efficiently. Return leftovers to the refrigerator quickly. Save food containers with covers for storing leftovers. Share extra food with neighbors and friends. Donate the money you’ve saved for the mitzva (commandment) of kimcha de-Pischa (Passover flour), to help those in need enjoy their holiday. Hey, I am quite new in this passover. But I cannot wait to enjoy this passover. And in this situation this cautious article is really helpful for me. Hey, I am quite new in passover this year. But I cannot wait to for this dish in this passover. 1. has a typo: chametz is generally not understood to be unleavened bread :-)2. can be maintained easily in a file, rather than a hard copy on paper; it's easy to annotate and update that way, too.3. Although I do not like many of the specialty items that come out for Pesach, I don't think ketchup is the best example. In fact, I try to use it year round, since the Pesach version has actual sugar, instead of high-fructose corn syrup, which I try to avoid at all costs. Thanks Debby, I updated to address comments 1&3. As for 2, that list is too important to entrust to my computer!